When you create your social media strategy, it’s a great idea to use the opportunity to engage all of your staff with their ideas about interesting tweets and blogs. Once you have contribution from your team, its best to have only one person who approves it (once approved other people can upload it). Building your practice on social media is about regularity, consistency, and knowing what is relevant and engaging to your audience. This takes time and organisation. The following points explain why having a designated social media person will make your social media marketing more effective. Regular posts. To build followers, you need to post content regularly on your blog and Facebook. If no particular person is responsible, it’s likely that no one will make adequate time for it. It’s best to have one person responsible for regular posting. Avoid repetition and contradiction. It’s easier to keep track of what’s been said when you have one person responsible for social media, rather than many people. The person will keep track of what has been posted to avoid repetition and contradiction. Consistency. The style must be consistent in terms of language, format and content. This will build a strong practice image that your audience can better form a relationship with. The style will depend on your audience and your practice. Having just one person approving content will keep your style consistent. Keep up to date. The person in charge of social media should be responsible for researching new social media methods and techniques. That person will build expertise and learn how to make your social media more effective. Refresh. The person should regularly analyse the effectiveness of their actions – what has engaged the audience, what could be done better? A designated person can spend the required time adjusting the social media strategy until it is perfect. 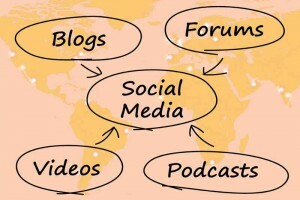 In time, your practice will have a social media expert and the content will be directed and strategic. Your social media accounts will be a way to engage existing and potential new patients, and position your practice as a leader in your healthcare field and location.